Speaking of the “Club Hotel” we are reminded that a new one, “The Criterion,” under the management of Mrs. Clyne, has been established. The building near the angle of St. John and Patterson-streets has been by extensive alterations and additions expanded into a large establishment which, from its admirable position near the public buildings, the new People’s Hall, the banks, and the wharf, is sure of a growing and profitable trade ; in addition to the support of the country people, for whose convenience stabling has been secured opposite the Patterson-street entrance to the hotel. granted. This leaves the Cornwall Hotel unlicensed and vacant. The Criterion Hotel, St. John st., is to be sold at auction on May 27, Mr. John Gunn, representing, the owners, announced to-day. The land on which the Criterion was built was originally a grant in 1837 to Mr. James Reibey, brother of a Mr. Thomas Reibey, of Entally, a former Premier of Tasmania. The property was bought by Mr. Edward Brooks, who was the first licensee, in about 1860. It was later owned by the late Mr. G. T. Collins and then by Mr. Alexander Corrie. In 1883 it was bought by the Colonial Mutual Life Assurance Society. When J. and T. Gunn Pty. 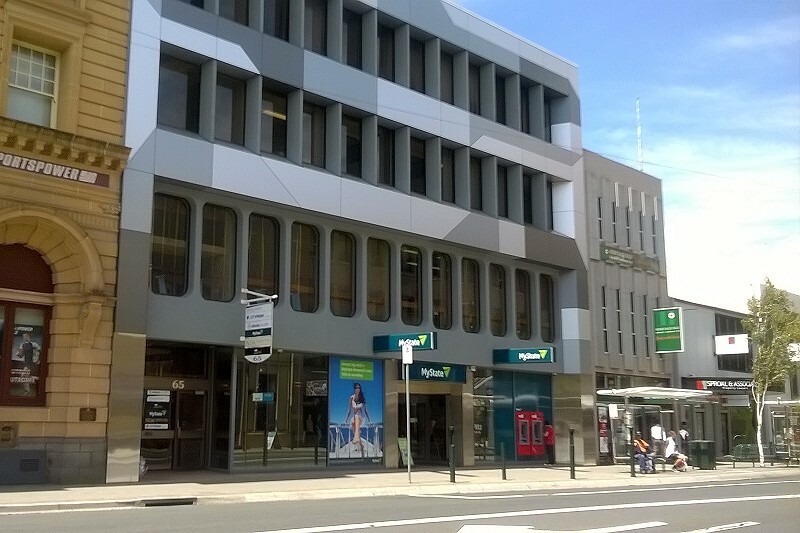 Ltd, were building the Commercial Bank of Tasmania (now the E.S. and A. Bank) next door they bought the property to avoid legal complications in 1908. The interior of the hotel was remodelled in 1937. 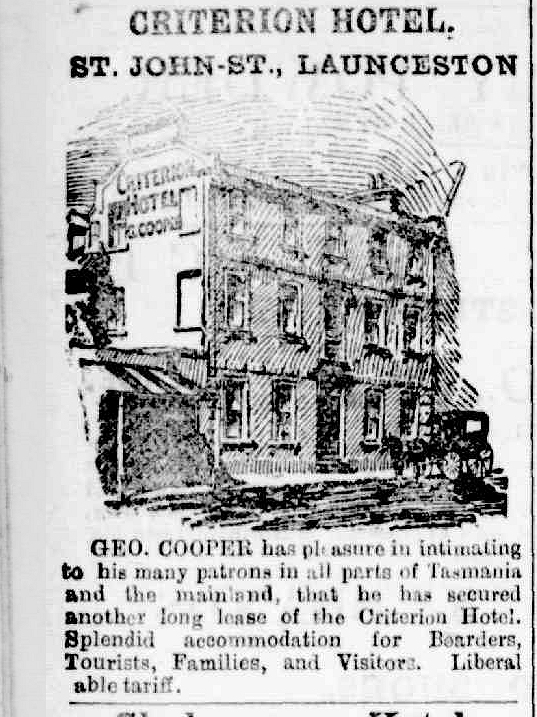 THE CRITERION HOTEL, St. John St., Launceston, has been bought by Mr. T. W. Cox, of Erina Street. THE purchase price was £ 35,500. Bidding stopped at that figure when the property was offered for sale by auction on Friday. Subsequent negotiation between Messrs. J. and T. Gunn, the vendors, and Mr. Cox led to the completion of the transaction at the price mentioned. Mr. Cox is a member of the executive of the Launceston Chamber of Commerce. For some years he was general manager of Fish Canneries of Tasmania. and later was Managing director of the Bass Canning Company. He recently disposed of his interest in that enterprise. The Criterion is a three storied brick building and has 27 bedrooms Mr. Cox intends to take over the hotel when the lease of the present occupants expires in about 12 months. He has had experience in hotel management ‘in Melbourne. He will be assist ed by his son-in-law, Mr. J. W. Wainwright. Mr. Cox is the amateur billiards champion of Tasmania. This entry was posted in Hotel, St John Street and tagged location, long gone, no dates, photo by Xenith. Bookmark the permalink.